Scientists Seek Your Help to Photograph Another Sun's "Pale Blue Dot"
A simulation of the “pale blue dot”—an Earth-like planet—Project Blue hopes to capture orbiting a star in Alpha Centauri. The color could be attributed to the presence of a substantial atmosphere that allows liquid water to exist on the planet’s surface. Image credit: Jared Males. On it, everyone you ever heard of, every human being who ever lived, lived out their lives. The aggregate of all our joys and sufferings, thousands of confident religions, ideologies and economic doctrines, every hunter and forager, every hero and coward, every creator and destroyer of civilizations, every king and peasant, every young couple in love, every hopeful child, every mother and father, every inventor and explorer, every teacher of morals, every corrupt politician, every superstar, every supreme leader, every saint and sinner in the history of our species, lived there—on a mote of dust, suspended in a sunbeam. The past 26 years have yielded astonishing and wonderful revelations about the cosmos, including proof of the existence of exoplanets―worlds orbiting other stars―with many of them in “habitable zones” around their suns, areas where it’s not too hot and not too cold. These are planets, in other words, that might support life. For all the artistic renditions, however, and the hypotheses of what such worlds might be like, the totality of our images of those planets exist mostly as waveform graphs, with a scattering of thermal images of gas giants analogous to Jupiter. No rocky world in a habitable zone has ever been imaged directly. Their stars are billions of times brighter than they are, and there is no hardware in space able to “turn off” the light of the star without turning off the habitable-zone planet. Project Blue intends to change that. It is an effort by a group of scientists, engineers, and space organizations to launch a small telescope into space with the singular goal of directly imaging in visible light (i.e. the light we see with our own eyes) an Earth-like planet around one or more of the stars of Alpha Centauri, and to do so using private funds. Not only might the mission redefine humanity’s place in the universe, but it might also redefine how planetary science missions are funded, launched, and operated. Since the 1990s, astronomers have been rigorously engaged in the study of Alpha Centauri, the closest star system to our own, and people have been talking about imaging planets around nearby stars for nearly as long. The Project Blue team, comprised of some of the best minds in the field, came together this summer to work through and settle on the different technical concepts that have long been considered necessary for this sort of mission. A perennial roadblock has been funding—it's simply been too expensive to mount this sort of mission. That roadblock has finally given way. As for finding a habitable world, imagine you flip two coins. The possible results are: both coins turning up heads; one turning up heads, the other turning up tails; or both turning up tails. If you’re betting on heads, those are great odds. Consider further that in our own solar system, there are three planets in the habitable zone: Venus, Earth, and Mars. (Obviously, only one of the trio is a habitable blue dot.) Suddenly the likelihood of Project Blue successfully photographing something seems a lot higher. To capture the image, Project Blue will launch a space telescope the size of a small washing machine, equipped with a coronagraph and deformable mirror. A coronagraph can "turn off" the light of the alien suns. That light is focused by the mirror. Because the twin stars in Alpha Centauri are so much like our own Sun, astronomers know where to look to find their habitable zones, and where planets have to be in those zones to host liquid water. Therein lies the key difference between NASA space telescopes and the one to be launched by Project Blue: NASA has to design its telescopes to service hundreds of targets. Project Blue has only one, and a precise target area within the system. If a NASA telescope fails to find something, it moves on to the next thing. If Project Blue fails to find its target, the mission is over. NASA has passed over this sort of mission in the past because of this "null result"―the possibility of two tails turning up from our coin toss. 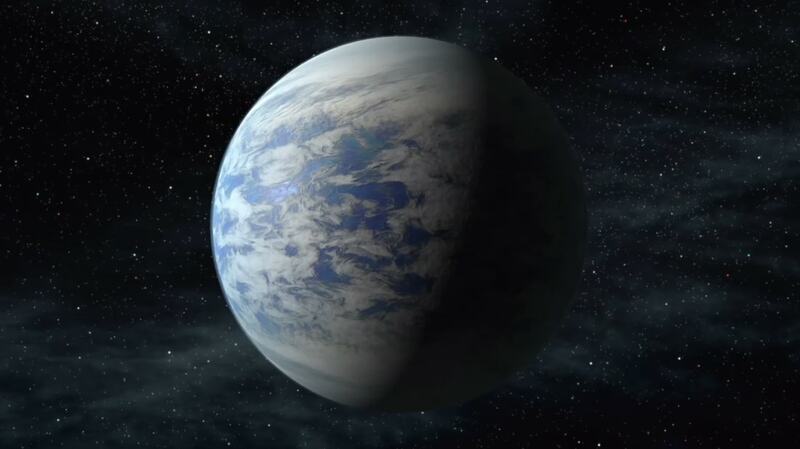 Peer review panels normally look for a larger context for scientific impact, and however likely it is that habitable planets orbit one of these stars, what would it mean for exoplanets in general if no such planets exist? Very little. It wouldn't tell us anything at all about how common or rare Earth-like planets are around other stars in the galaxy. This isn't to say there hasn't been excitement for a mission like this. "Excitement" is an understatement. Directly imaging an Earth-like world is a holy grail of exoplanet study. The era of commercial space has arrived, and the logical next step is to bring space science into the fold. Such barriers as spacecraft control and access to space are now surmountable thanks to companies like SpaceX, the private company helmed by Elon Musk that is pioneering reusable rockets, and that presently launches orbital payloads and resupplies the International Space Station (with designs to launch astronauts in 2019 and put humans on Mars in the next decade). Project Blue is taking a three-pronged approach to raising funds for the mission. The first $1 million will be raised on Kickstarter, in a campaign that begins today. This is analogous to the way NASA funds “Phase A” studies, in which a small percentage of a mission’s cost is provided for scientists to develop a preliminary design. A methodical NASA-like approach to mission development is no accident. Before Jon Morse ran BoldlyGo, he was the director of the Astrophysics division of NASA’s Science Mission Directorate. Crowdfunding this phase of Project Blue has the added benefit of raising the mission's profile. If nothing else, the public can be invested, literally, in the mission’s success. Afterward, the mission leadership will engage private investors directly to raise another $24 million. Since its announcement last month, the project has been inundated with requests from companies to help provide such things as onboard computing and spacecraft control. “We could not conceive of doing this even a few years ago,” says Morse. And NASA, while not strictly necessary for mission success, will not be excluded from this endeavor. Project Blue has also approached the agency to establish a Space Act Agreement, in which it will provide modest resources in exchange for a minority role in the mission. NASA has such an agreement with SpaceX. No money is exchanged, but NASA field centers—its facilities around the country—partner with SpaceX to provide expertise and institutional knowledge. For Project Blue, this might mean the use of test facilities, and NASA personnel assigned to the project. This is also analogous to NASA’s participation in certain international missions, where there is no exchange of funds, but in exchange for a small role, NASA provides certain technologies or technical support. The Project Blue team believes it can get the science payload built and integrated into a spacecraft in roughly three years—four on the outside. “We have a pretty good idea of what to do to get the spacecraft built,” says Morse. “Look for it by the end of the decade. It won’t be earlier than late 2019―maybe 2020―to launch. This is a lean-and-mean assessment that’s based on our experience with other payloads that have been developed." And its effects on commercial and public-private partnerships for science missions would be tectonic. Capturing an image of a "pale blue dot" around one of the Alpha Centauri stars “would be a really compelling scientific result that we think would rival some of the most momentous discoveries in science and space exploration,” says Morse. It would also enable study beyond an imaged habitable world. Scientists could extract from the light wavelengths evidence of things like elements in the atmosphere, water, and perhaps extrapolate signs of life by way of such processes as photosynthesis on the planet's surface.